If you are a couch or professional basketball trainer then you will be familiar with this kind of basketball layouts and templates. 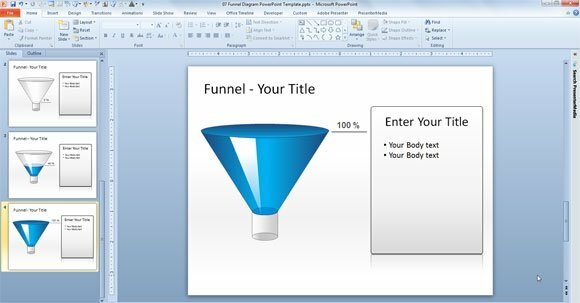 Today we have created a free basketball template for PowerPoint presentations that you can download and use to describe your basketball drills and techniques in Microsoft PowerPoint. 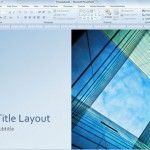 You can use the following free basketball templates and basketball diagrams for PowerPoint presentations as unique layouts to describe your basketball moves and shooting drills. 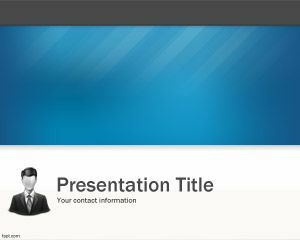 Free basketball PowerPoint templates contain three unique basketball slide designs that you can use to prepare presentations for basketball teams or sport drills in PowerPoint. Use the basketball layouts and designs to make awesome slides with basketball techniques and shooting or ball handling drills. You can select from numerous basketball court diagrams and templates and add your own moves with the hand drawn arrows to describe the moves and strategy during a game. The slide template contains a full court layout for basketball and basketball half court diagram. You can also choose from different court colors including the orange basketball court or the blue style. This template can also be used to describe the basketball dimensions or measurements of a basketball court. You can use the basketball court templates and diagrams to prepare your next game strategy. 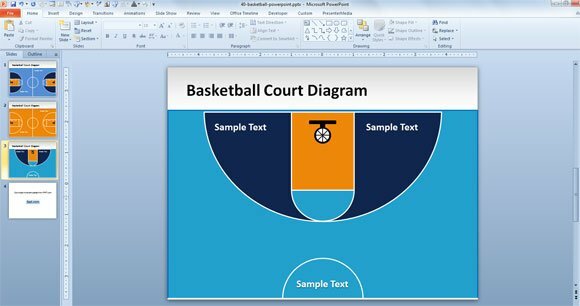 Moreover, if you are a coach for a NBA team or college basketball team then you can add your mascot or logo to the center of the court or as part of the template and add team names to the top right and top left of the diagram. These basketball templates are great to be used for college basketball court diagrams, high school basketball court diagrams, International court diagrams or even NBA court diagrams purposes. 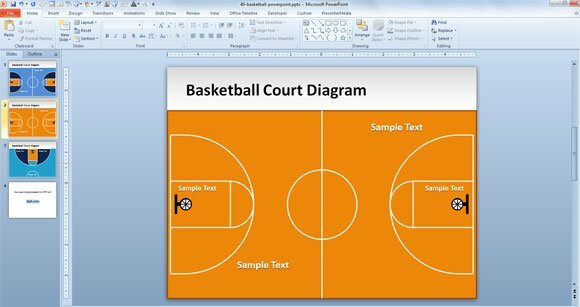 Alternatively you can print the basketball court layout or download other free PowerPoint templates and themes for presentations. You can export this basketball template as PDF or any other format suitable for your needs. I love this game!